You and your buddies are enjoying a beautiful hiking expedition through the mountainous wilds of whatchamacallit away from the clutter of modern civilization. Finding a suitable place to camp, you pitch your tents, and, later that night, you are all relaxed around the campfire roasting marshmallows in one hand and doodling on your laptops with the other. Gooey marshmallow trails streak across the keyboards. 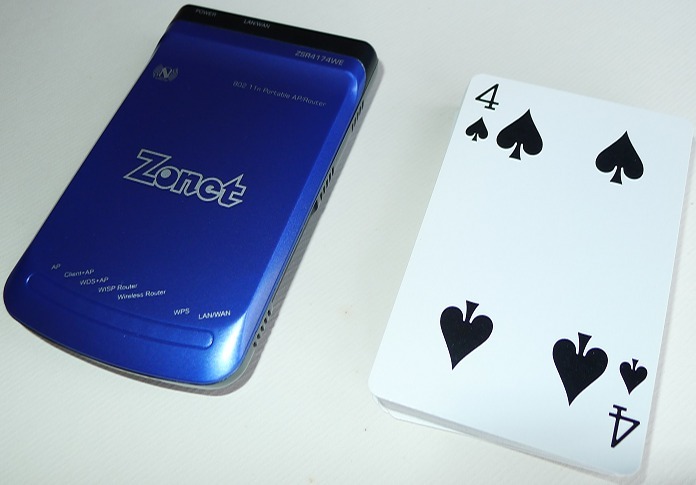 You grin like a Cheshire cat as you reach into your bag and pull out the Zonet ZSR4174WE portable access point (AP) and router. “Always be prepared,” you boast. Minutes later, you and your buddies are swapping files and networking under the stars, and everyone thinks you are a genius. If you have ever opened System Monitor or top you no doubt noticed a column named ID or PID containing a list of numbers. You might even see a value called PPID. What do these numbers mean? Here is a short explanation of these Linux terms. The Ubuntu repository contains an interesting collection of games to pass the time. After all, a quick game is an excellent diversion for the mind after lengthy programming sessions. 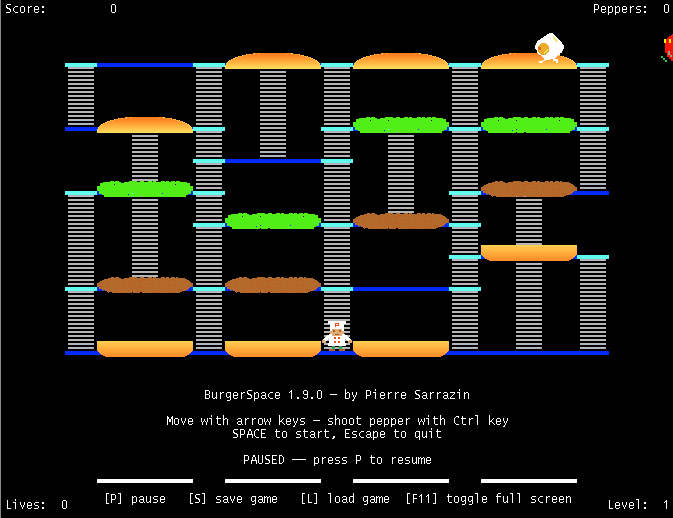 One such game is BurgerSpace, a clone of the classic arcade game BurgerTime made in 1982 by Data East. No computer security arsenal is complete without Darik’s Boot and Nuke, or DBAN for short. This essential piece of software securely wipes hard drives in their entirety to prevent data recovery. Suppose you have a hard drive you wish to sell, give away, or dispose of, but it contains personal files. What do you do? Format the drive? No, that will not work since formatted drive data can be recovered. Do you delete the files? No, deleted files can be recovered too. What about wiping the files with secure delete tools? No, no, even that is not good enough. Certainly, the wiped files will be unrecoverable, but what about the inaccessible areas of the hard drive? What about the swap space and other protected regions? Besides, wiping files and the swap space requires too much effort. Isn’t there an easier way to securely wipe the entire drive including the protected areas? Yes, and DBAN performs marvelously. Caution: DBAN destroys data from a hard drive, so backup any important files before use. Merely deleting files is not good enough if you wish to cover your tracks and maintain your privacy. Files must be physically overwritten, a process known as wiping, in order to prevent their discovery and resurrection from recovery programs such as Recuva and Photorec. The secure deletion toolkit is an essential set of command line tools that allow you to wipe files, memory, the swap space, and free space to physically destroy existing contents beyond recovery by forensics software. Oops! 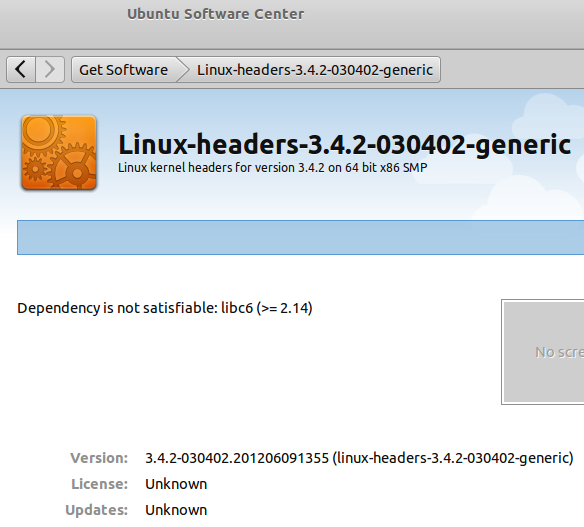 I tried to install kernel 3.4.2 quantal but received the libc6 “Dependency is not satisfiable” error. How can I remove the incompletely installed kernel? If you are running older versions of Ubuntu, such as 10.10, and wish to upgrade the kernel from the mainline kernel repository, you will quickly find out that the precise kernels work, but the quantal kernels do not. Clicking the panel shows a list of devices. To eject a device, simply click the device’s eject icon icon, and the device is unmounted. 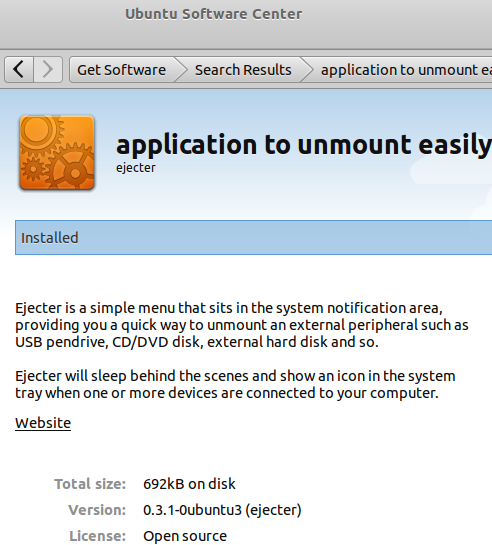 Ejecter is available in the Ubuntu repository and can be installed from the Ubuntu Software Center.